The station’s early recruitment efforts were simple: reach out to students who had been turned away from WTJU’s already-full rock department. Set up a table at the activities fair. Send out emails. 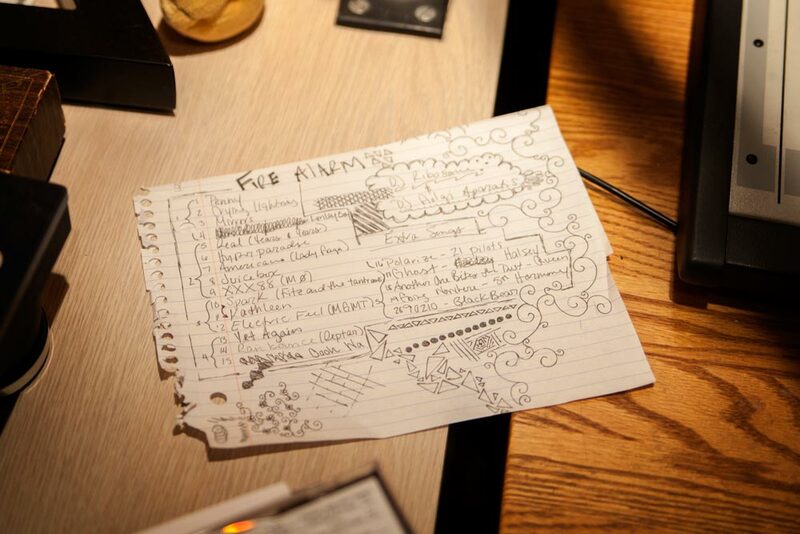 The free-form radio format is ideal for creative students: there is no set song or story rotation. WXTJ listeners are likely to hear something they haven’t heard before, be it a new story, a new song or a new theme running through old favorites. “We play literally anything we feel we can get away with,” says Judith Young (Col ’17), co-host of WXTJ’s Judith and Sam Awesome Show, Great Job! When WTJU was established in 1955 by students in UVA’s department of speech and drama, it was an educational radio station built around classical music. By 1974, the station was broadcasting 24 hours a day, 7 days a week, and it soon transitioned from an all-student station to a student-community hybrid to support the extra time on air. WTJU 91.1 FM Charlottesville/102.9 FM Richmond is now a community station that broadcasts classical, jazz, folk and rock music and public affairs talk segments, and hosts live music events in the Charlottesville area. Most of the DJs are community members, but a few spots go to students. Young and her radio partner like to challenge themselves to adhere to strict show themes. For one two-hour block, they played only songs by artists whose names start and end in S (the Strokes, the Shins, Sufjan Stevens, Sleigh Bells). Another week, they stuck to an “artists with animals in the name” theme and played Phox, Gorillaz, Sheryl Crow, Dr. Dog and others. 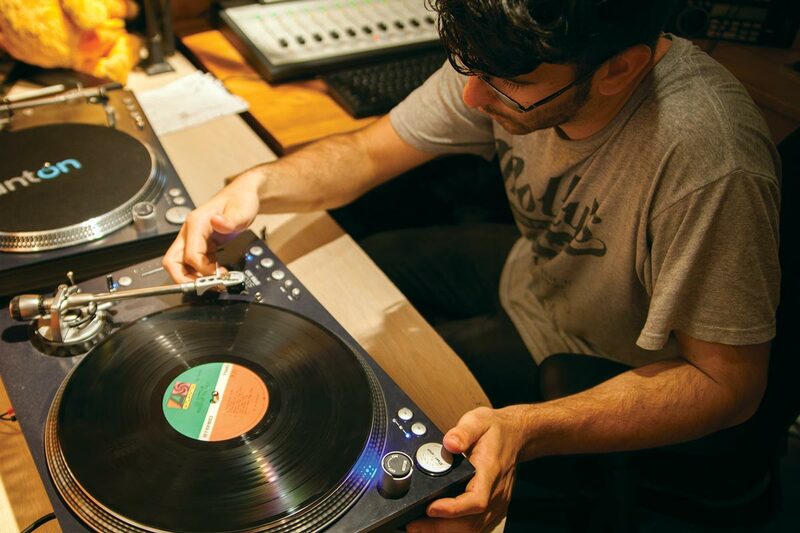 On Hummus for Breakfast, Mullany and Sasan Mousavi (Col ’14, Grad ’16) play music from a different genre each week and discuss culture and news between tunes. The station also has a special programming department that produces a few hours of talk-based segments, like Mullany’s “Black Lives Matter,” each week. 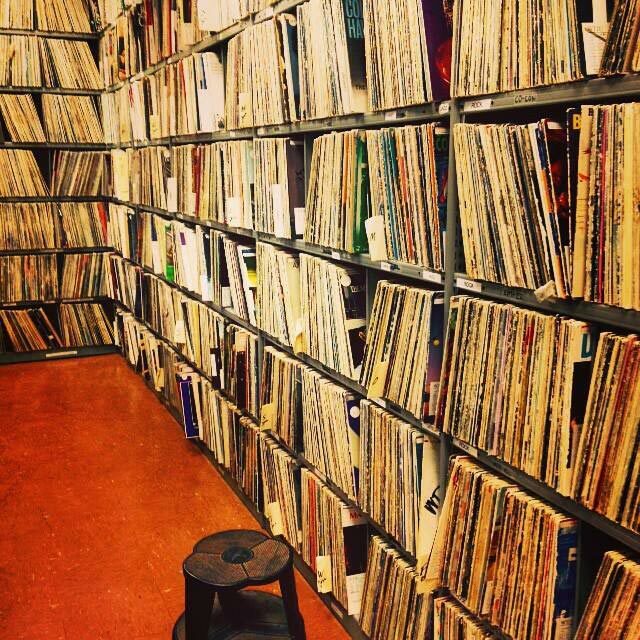 DJs have access to the entire WTJU music library of records, CDs and digital files, and many bring their own. The station initially offered eight hours of live programming each day, but as interest in the station has grown, so has student air time. Currently, WXTJ broadcasts live from 8 a.m. to 2 a.m. In the off hours, an automated system randomly plays songs from the WXTJ playlist. 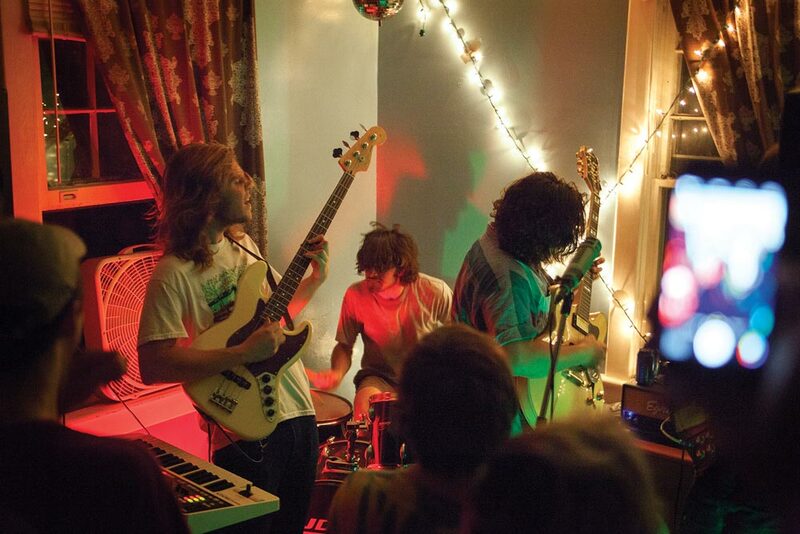 WXTJ is also amping up the alternative music scene by bringing live acts to Grounds and Charlottesville. Last January, the station co-sponsored the Parquet Courts/Priests bill at the Southern Café & Music Hall and, in April, booked indie musicians Julianna Barwick and Grouper at the UVA Chapel. The show sold out, and some of the 250 attendees drove in from as far as Maryland, “which just goes to show that WXTJ has the power to energize the Charlottesville music scene,” says station co-director Sara Ho (Col ’17).